Posted by admin on Oct 18th, 2018 and filed under Last-Line. You can follow any responses to this entry through the RSS 2.0. Both comments and pings are currently closed. On a historic day like 1st October, 2018, the day Nigeria was celebrating her 58th Birthday, God choose to visit the Peoples Democratic Party, PDP, Imo State chapter. This was the day the Party’s Governorship primary was held, after many postponements. The exercise took place at last in Kanu Nwankwo Sports Complex, Owerri. The contest was majorly between two out-standing contestants; namely Rt. Hon Emeka Ihedioha and Senator Samuel (Sam Daddy) Anyanwu. Although Senator Athan Achonu, Prof Jude Njoku, Chief Chuks Ekomaru (SAN) and one other obscure Aspirant whose name I cannot remember now, participated. Before the exercise finally took place later that Monday, there had been minor disagreement over the issue of Adhoc Delegates, which was later settled in the residence of former Governor of Imo State, Chief Achike Udenwa in Owerri. From there all the Aspirants asked their followers to head to the Kanu Nwankwo complex. However, in order to avoid any act of malpractice from any of the Aspirants, the accreditation point was slated for Owerri Shopping Mall, from where large Buses conveyed the Delegates to the venue of voting, under strict and high security. I was not only a participant as a Delegate but was also a keen observer as a member of the Press. To the shock and surprise of many, the two gladiators who had kept the atmosphere in tensed tension, Senator Anyanwu and Emeka Ihedioha, strolled in together into the Shopping Mall, holding hands and visited all the canopies where accreditations were taking place, with the pledge that all should conduct themselves well. They agreed there would be no victor no vanquished situation at the end of the primary. Both men appeared together again at the voting centre, holding hands. This led their followers who had been suspicious of each other to now exchange banters with every one telling each other that it was a one family affair and therefore no need for acrimony. It was under this convivial atmosphere that voting started. Both Sam Daddy and Ihedioha, with other Aspirants were present. They even got up to enquire on certain Delegates they have doubt about. Some of the Aspirants stood at the entrance of the voting Bay to identify voters. Under this peaceful environment, Imo PDP Delegates filled out and voted for a choice who would emerge the party’s flag bearer in the 2019 Imo Governorship polls. There was no incident of chaos, mayhem or disturbance. The light in the venue illimunitated the place so bright that you could observe all that transpired from any corner of the venue you were seated. The fear that Imo PDP Governorship primary would be enveloped in crisis and problem evaporated into the air, as the exercise went smoothly to the chargin of enemy provocateurs, who had hoped for the worse. In the end, the votes were counted, and Emeka Ihedioha was declared winner, followed by Senator Samuel Anyanwu, Senator Athan Achonu, Chief Ekomaru and Prof Jude Njoke in that order. Senator Anyanwu stepped out and embraced his brother, Ihedioha, and emotions rose high as both men exchanged pleasantries. There was wild jubilation in the venue from all the Delegates. And the jubilation was not for Anyanwu or Ihedioha, but for PDP for conducting a free, transparent and hitch-free primary. In 2007, it was crisis upon crisis, and then Imo State Governor, Achike Udenwa and President Olusegun Obasanjo fought tooth and nail to stop Senator Araraume emerging the PDP candidate, which in the end he was, through Court verdict. However, that ugly scenario led PDP to lose the Imo Governorship seat, as the PDP picked Chief Ikedi Ohakim of Peoples Progressive Alliance PPA and adopted him as their choice and he won. In 2015, the PDP Governorship primary caused PDP the Douglas House again, as Senator Araraume who lost to Ihedioha with Ten (10) votes sabotaged the party by joining forces with the incumbent Governor, Owelle Rochas Okorocha to deny PDP victory in the election. 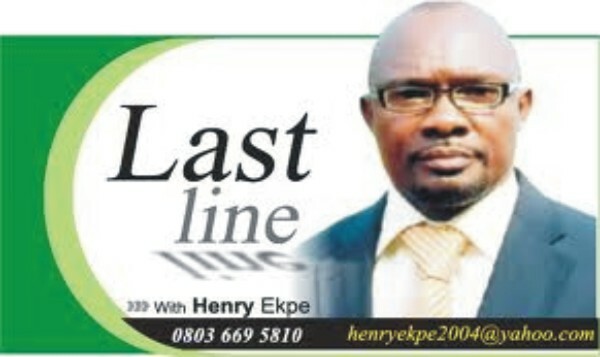 Therefore, after the October 1,2018 epesido, where the losers embraced the winner, it called for celebration, as many knew that what has made Douglas House Owerri to elude PDP since 2007 was simply the fact that the party always mismanages its Governorship primary, whose bad blood spills into the major election where sabotage, conspiracy and horse-tradings deny PDP the major trophy in Imo State. But very sadly, after accepting the result, Senator Anyanwu broke our hearts by taking the old route that destabilizes Imo PDP. He has now gone to court. Unfortunately, that Senator Sam Daddy Anyanwu has cut-short this euphoria in Imo PDP by going to court to challenge the October 1, outing is very saddening and indeed not palatable to those who love PDP and those who had looked up to the party to dislodge the evil regime in the State that has reduced Imo people to hewers of wood and fetchers of water in their own land. This litigation by Senator Anyanwu has momentarily stalled the happiness that was circulating within Imo PDP, as members were warming up to work in unsion and send this APC Government in the State packing. The scenario has cast a temporary gloom over an environment that was already charged with brightness beckoning for a New Day spiced with hope for Imo PDP members. Sam Daddy’s action has even made many who love him to wonder what went wrong. This matter has raised a lot of unanswered questions in certain quarters, which surprises many. However, this is politics. But still we are all humans. Whatever may be the situation in this circumstance, as in all other circumstances, there is no action without a reason. Therefore, it behoves to say that the Senator has a reason to have headed to court to challenge an exercise which he acknowledged its outcome by embracing the winner, who in the first place is his brother and friend. Now, for the sake of posterity and our children, I appeal to Senator Anyanwu, as a bonefide son of Owerri zone and Imo State to remember that the 2019 Governorship election is beyond Emeka Ihedioha. Senator Anyanwu should please realize that apart from how personally he feels in losing the Governorship ticket, the Owerri people should be in his mind. His political party, PDP, which I know he loves, should be paramount in his calculation because since 1998 he joined PDP Anyanwu has remained a loyal member of PDP till date. In the process of this internal squabbles, how would Anyanwu feel if his party PDP again, loses Imo Governorship election? As an Owerri man, Senator Anyanwu knows how important it is to his people to win Imo Governorship which has eluded them since Chief Evan Enwerem occupied that position for just Eighteen(18) months, while Orlu has occupied that office for Sixteen (16) years and Okigwe Eight (8) years. Senator Anyanwu should see the situation as a sacrifice he is making for his people and his people. The story out there is that Owerri people hate themselves and cannot manage every opportunity they get to produce a Governor. Much as I do not know the merit or demerit of his matter in court, I personally know that it would attract Anyanwu more followers and love if he sheaths his sword and let it end. Senator Anyanwu is still a young man and it would serve him better to build more followers as his future looks brighter. God gives power. I met Senator Anyanwu in 1999 when he was running for Ikeduru Council Chairmanship election. By then there were the likes of Chief Emma Kema, Chief Aly Bay, Dr (One Thousand) Ukaegbu, Dr Charles Unokwa, the Unogus among other prominent politicians that dominated Ikeduru politics then, with Chief Emmanuel Iwuanyanwu as the grand master. Sam Daddy’s nemesis then was Dr Vitalis Orikeze Ajumbe of All Peoples Party APP as his main challenger for Ikeduru LGA election. Ajumbe with the likes of Chief Sam Aka came boldly to challenge Chief Iwuanyanwu’s political kingdom with their teeming reactionaries. Despite everything, God made Anyanwu the chairman. Even when there were plots to remove him from office, I was physically present there at Iho, and we fought hard to repel the forces of Kelechi Nwagwu and Achike Udenwa who wanted to deal with him politically. From there my brother and friend Sam Daddy moved to the House of Assembly where he served two terms, and later beat Chief Chris Asoluka and others to move to the Senate. Who thought it was possible. I am not here to say what his brother and friend Emeka Ihedioha contributed to that successful outing by Senator Anyanwu, which even attracted Ihedioha enemies. Therefore, the God who made it possible for Anyanwu still lives. He can do it again. If God wanted Anyanwu to be Governor, not even a thousand Emeka Ihedioha would have stopped him. Therefore, I ask that we should all rally round Emeka Ihedioha to complete this task he started in 2015. An idea whose time has come is hardly stopped. Emeka Ihedioha contested for Governor in 2015, and for four years now, he still maintained his flanks to remain politically relevant till 2019. Many had thought he would fade away. But he has not, but instead grown in stature. That is also the hand of God. Because had God wanted Ihedioha to fizzle out since 2015, he would have gone into oblivion. Therefore, God is behind him. From what is happening now in Imo State, God is preparing that ground for Ihedioha and PDP. The hand of God can been seen in all that is happening now in Imo. It is preparing the way for Ihedioha. Everywhere you go now, even those who detested Ihedioha before are now rooting for him. It is not ordinary. That is why All Progressive Grand Alliance APGA is in tatters All Progressive Congress APC is fighting itself, allowing Peoples Democratic Party PDP to be the only party in the State. Now, you may ask, “Has Ihedioha approached Anyanwu for reconciliation?” The answer is that Ihedioha has done that, even as he felt there were no problems with Sam Daddy since he embraced him after Ihedioha was announced winner. Mind you, the primary was conducted on October1, and spilled into October 2. As expected of him, Ihedioha ought to follow the result, document his name in Abuja and return home for further businesses. But on 8th December, the Senator Anyanwu camp had gone to court. When would have Ihedioha had the time for other matters while struggling in Abuja to get his name endorsed? However, despite all these factors, Anyanwu and Ihedioha are friends and brothers and must reconcile for the good of PDP and Imo State. They sky remains their limits as both men are still young.